The most trusted waterproof VHF cases on the market, Aquapac's have been selling them since 1983. Essential for regular handheld VHF radios when paddling and a prudent additional line of defence even for waterproof models. When you absolutely have to keep communications open you can trust in these lifesavers. 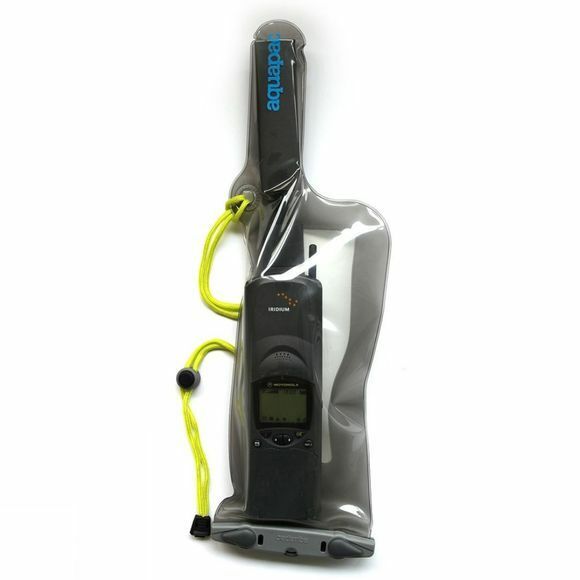 This case is suitable for most satellite phones and VHFs with long antennas. You can use your radio normally through the case, it doesn't interfere with sound or radio signals. Clear windows on both sides makes it compatible with both left and right-handed radios. Aquapac's patented Aquaclip is an ultra-secure, rustproof, injection-moulded plastic seal that opens and closes with a simple twist of two levers.